Anyone who knows me knows I love chocolate… milk, dark, white I love it all! And whilst I try to limit it to a treat for me and the kids a couple of times a week, sometime I just can’t resist whipping up a delicious chocolate dessert! 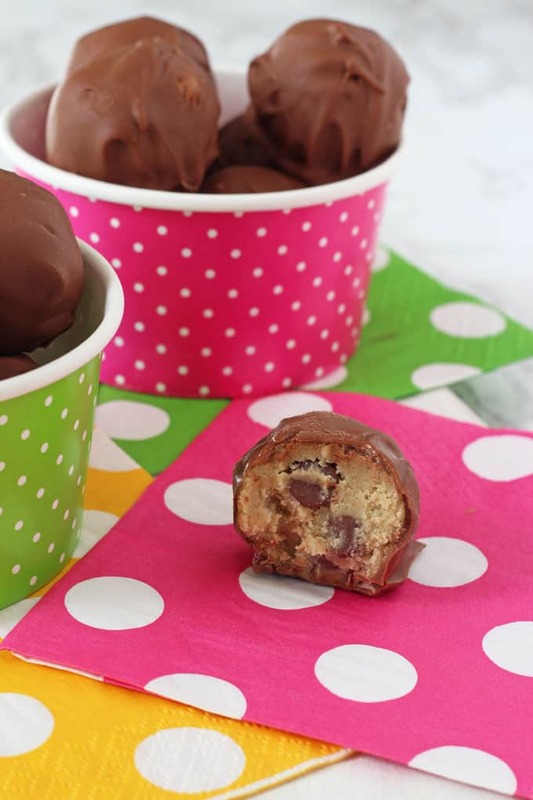 If you’re now craving something sweet and chocolate-y then check out my recipe for this delicious Chocolate Chip Cookie Dough Bites below. 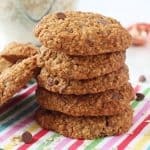 If you can’t help but lick the bowl when making cookies then you’re going to love this recipe. 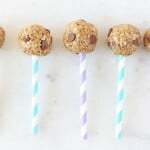 These Cookie Dough Bites are so easy to make and are a great recipe to get the kids involved in making with you. 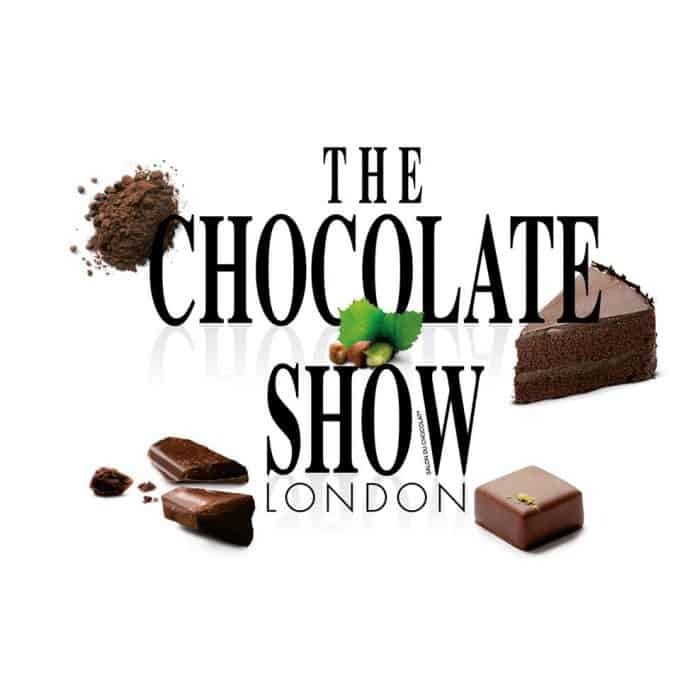 Disclosure: I have been compensated for time time spent working on the promotion of The Chocolate Show but as always all thoughts and opinions are honest and are my own. Cream the butter, brown sugar and white sugar together in a bowl and then add the vanilla extract and beat again. Add the flour and mix with a spoon. If the mixture seems too dry then add a little of the milk at a time until you get a more workable consistency. 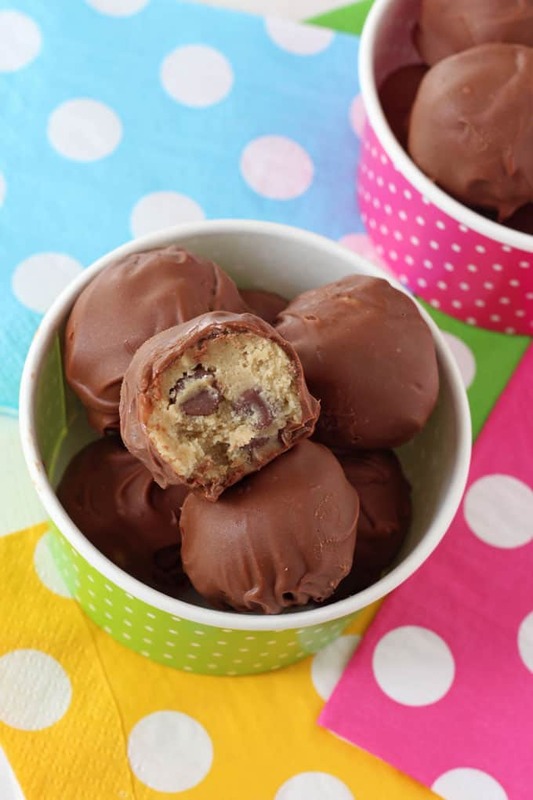 Gently fold in the chocolate chips and then roll the cookie dough into 13 balls. Place them on a plate lined with parchment paper and then freeze for 15 minutes to firm up. In the meantime melt the chocolate. 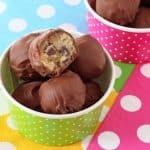 Remove the bites from the freezer and dip each one in the chocolate, coating completely. Return the bites to the freezer for 5 minutes until the chocolate has hardened. Eat immediately or store in the fridge for up to 3 days. 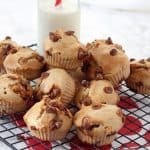 Oh my goodness, these look too good! I’ve got to try these.